Is it really possible? I mean… really? That’s usually how the question is worded when I’m in a conversation with someone about this whole blogging side gig thing. We’re talking nickels and dimes here, right? Nope. The income can be quite significant, when you’ve patiently built your blog like a real business and not a mere hobby. It’s possible for a decently managed and publicized blog to earn hundreds or thousands of dollars per month, or more. Yes, some blogs make hundreds of thousands of dollars per month, but I try to stay away from those stories because they aren’t the norm. Because you’re super famous, right? Nope. I’m not really that famous at all. Not even in the blogging world. Again, that happens. Some celebrities can earn a ton of advertising money for mentioning a product, but that’s not me. Your blog is probably smothered in ads, right? Nope. The only ads that appear anywhere on my blog are ads I’ve placed there for my own purposes. Okay, you’re involved in a pyramid scheme? A multi-level marketing matrix? You’re some kind of black hat hacker staying one step ahead of the NSA, the FBI, the CIA, and the IRS? I don’t think so. Nope. I don’t recruit anyone into any downlines. I report all of my income and pay taxes on it. I try to respect all the rules Google lays down. In fact, I remain committed to a set of pretty high ethical standards. Digital marketing (including blogging) isn’t for everyone, but it IS for anyone. By that I mean that blogging might not be for you if you simply don’t want to put in the time to learn the basics, and that’s okay. You should feel absolutely zero pressure to get involved in something that doesn’t at least pique your interest. 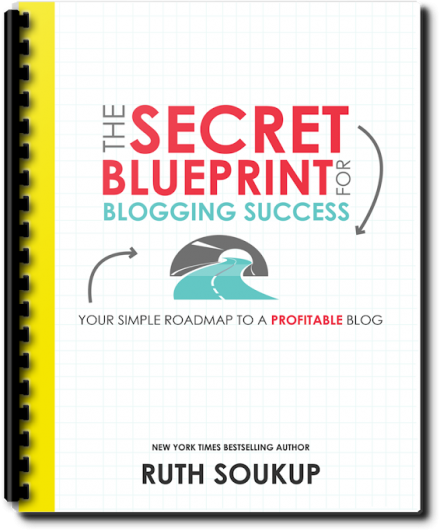 If you want a little more direction, check out this FREE download from Ruth Soukup, The Secret Blueprint for Blogging Success. Having said that, it’s possible for most people, of at least average intelligence when it comes to computer-ish things, to create a blog that earns real, actual, significant income without compromising any ethical standards, breaking any laws, or mastering any computer programming languages. It’s a matter of understanding exactly how blogs make money and then going and doing it for yourself. It would probably help, at this point, to clarify that it isn’t usually the blog that earns the income. It’s the blogger. That is, the person running the blog must be willing to serve people with helpful, useful content and then to build a long term relationship with his or her readers. Millions visit, click ads, and dude gets mega filthy rich. That’s happened a time or two, but almost never on purpose. Sometimes a blog gets really, really big and gets bought by a larger media company, sometimes for millions of dollars. But again, that’s very rare. Dude creates content that serves an audience well. Readers stop by having clicked a link somewhere – maybe social media, maybe a Google search result. Satisfied readers then subscribe to get notified of future valuable content (and very often, they subscribe to be able to download a “lead magnet” or get access to something only available to subscribers). Over time, the blogger serves those subscribers with more valuable content. Interspersed among the content are paid offers or products. Some belong to the blogger and others are third-party products for which the blogger earns a commission when readers click through and make purchases. Obviously, there is way more to it than that, behind the scenes. There are welcome sequences, sales funnels, affiliate launches, continuity programs (membership-based products), and more. And it can all be learned. By almost anyone. It just… takes… time. And dedication. Most people will never give something like this a shot. Most who do give it a shot will stop before the success comes, leaving a massive graveyard of empty blogs lying around the internet. But some press forward. They keep going because of passion, desire, focus, and a bias toward action. Build it until it pays your cable bill. Then build it until it makes your rent or mortgage payment. Then build it until it matches or replaces your full-time income. Along the way, you get to help people with great content that inspires, instructs, and instigates change. 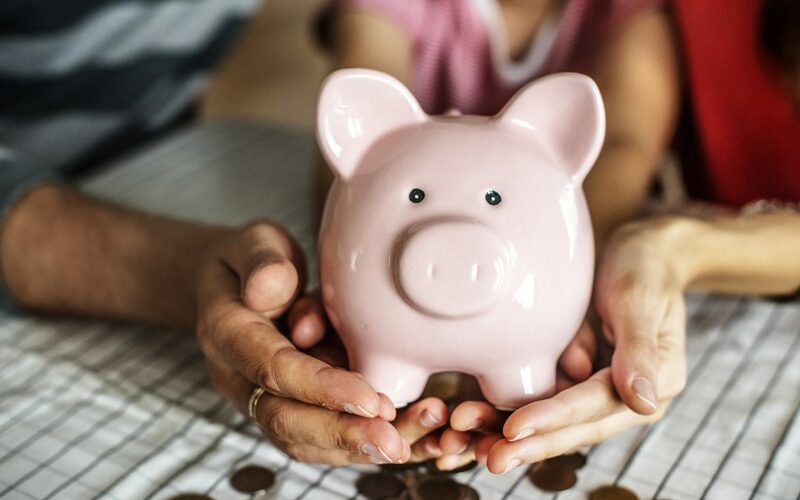 You also get to pay off debt, put money in savings, make some longer term investments, give generously to your favorite causes, and transition toward more passive income streams over time. The key is to start, without delay. Start an email list. Yes, even before you start your blog. Start your blog, and use it to build your email list. Grow your social media influence, to build your blog, to build your email list. Later, you’ll learn how to improve your writing, gather a larger community, monetize your content, offer coaching and consulting services, and write books or get booked to speak, further expanding your platform of influence. You’ll also learn about digital product creation, affiliate launches, sales funnels, welcome sequences, and landing pages. But for now… start an email list, start a blog, and serve people. 1. Sign up for my free, 21-day email course on building a blog that expands your influence and earns you income. It’s free. 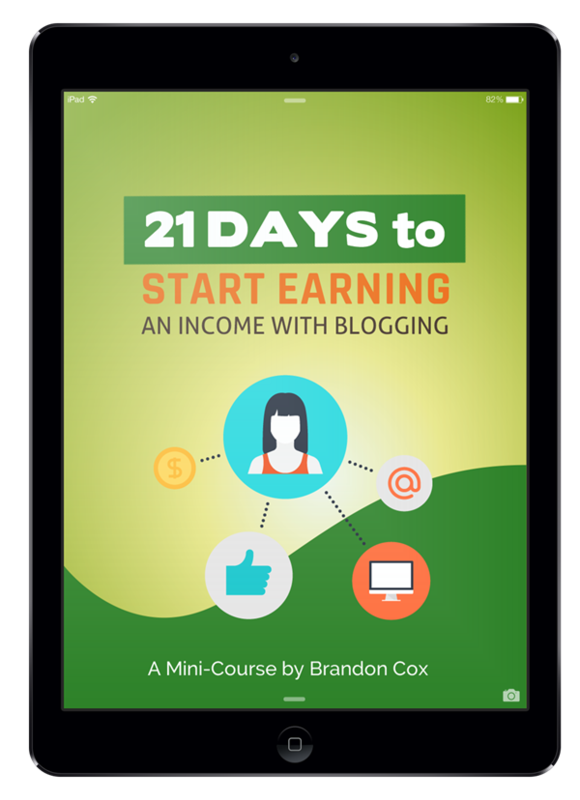 You’ll get an email per day for 21 days and I’ll walk you step-by-step through the entire process of launching and scaling your blog. 2. Create your free account at Wealthy Affiliate and consume the video training content. This is one of the strongest online learning communities you’ll find anywhere. Thousands of fellow aspiring bloggers and online entrepreneurs are networking together to learn how to grow an online income, and the video training is some of the best you’ll find! => Create Your Account Here! 3. Catch my coaching session in The Digital Leadership Lab on how to make money while making a difference with blogging. I started The Digital Leadership Lab so I’d have a place to host live coaching calls about how all of this works. I love encouraging entrepreneurs and bloggers and would love to have you! The cost is $35 per month, which gets you access to the live coaching sessions, plus all the recorded archives, plus a vault full of digital resources, and discounts on future courses. => Join the Digital Leadership Lab Here!